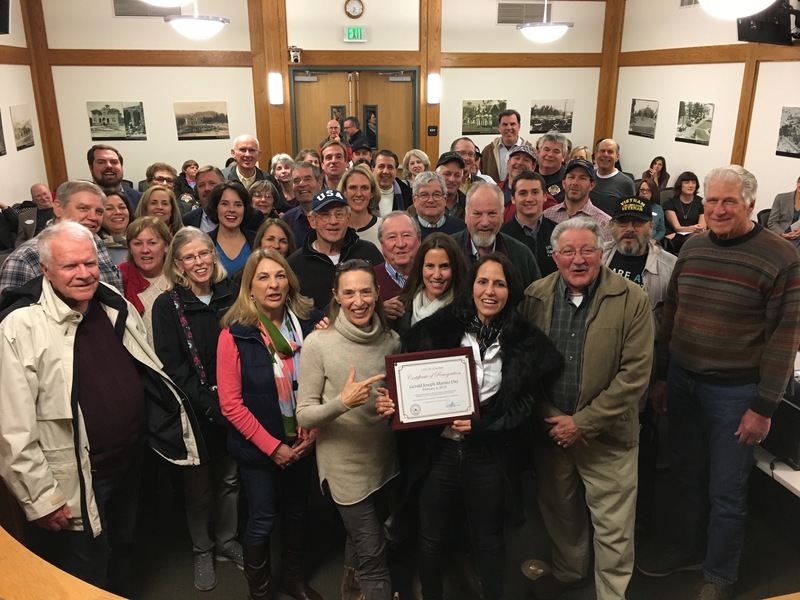 The inaugural “Celebrate Sonoma” Certificate of Recognition was presented to the family and friends of Gerald Joseph Marino at the City Council Meeting of February 4th, 2019. Watch a recording of the presentation on our CivicWeb portal (presentation begins at 8:17). “Celebrate Sonoma” is a new program started in 2019 to recognize people that make up the fabric of Sonoma. Once a month, a community member will be recognized at a City Council meeting with a presentation of a city recognition certificate honoring them by dedicating a “day” in their honor.